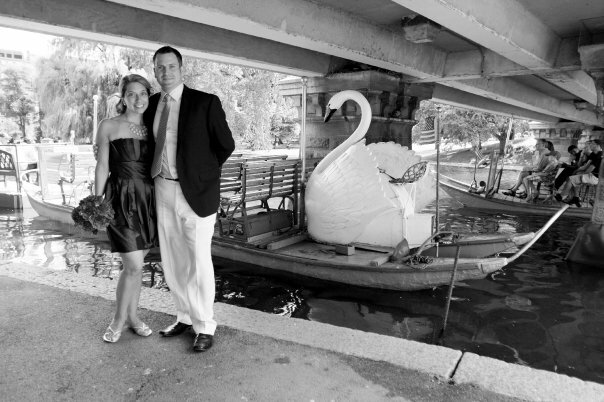 When people find out that my husband is British they often say “oh you must love his accent”…but the truth is, after this long you really don’t often notice it. Except of course when you hear it in the voices of your young children who are either imitating their “diddy” (said with their noses high in the air and teeth clenched) or non intentionally picking up inflections of his dialect. This morning though, I couldn’t help but notice how British he seemed heading off to work in his worn wellie boots with a pork pie in his hand. 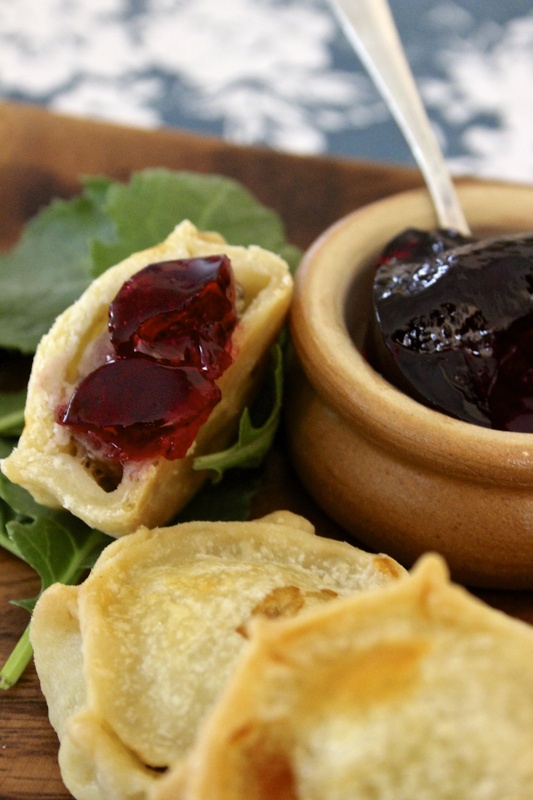 We have made pork pie before, but this time we wanted to make little hand pies that would be good to put in lunch boxes to make the morning preparations easier. Being that they are eaten cold, they are the perfect little treat to pop in the kids packs as they head off to school…although this morning apparently they were also good for grown men heading off to work. 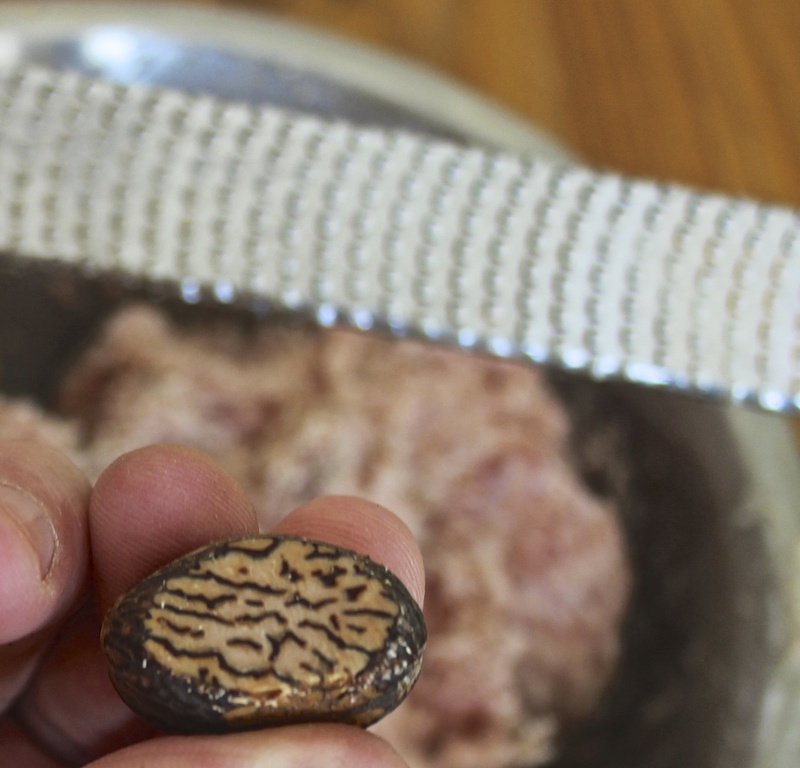 This recipe is from one of our favorite books, British Charcuterie: Traditional Pork cookery from Kentish Gammon to Lincolnshire Chine written by Jennie Reekie. Our copy looks as though it is a hundred years old because it is used so often. The dust jacket is hanging on by a thread and the pages are worn. It was printed in 1988 and if you can find a copy you should grab one. It has been indispensable to us. 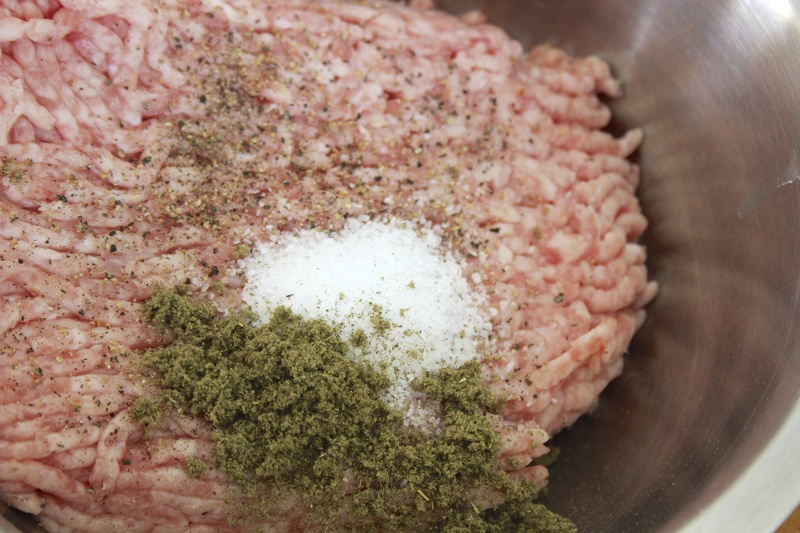 We began by adding the sage, salt and pepper to the meat. We also added a bit of freshly ground nutmeg to our recipe. We like the little kick of spiciness it adds to the pork. 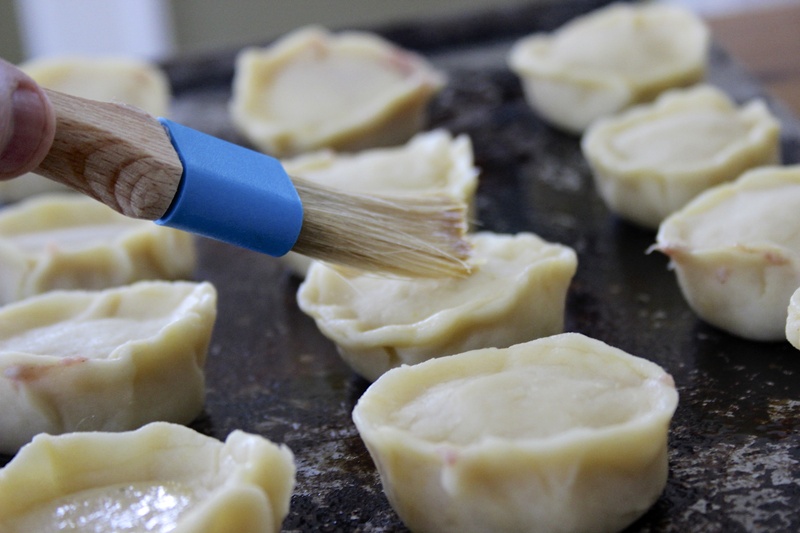 Hot water crust pastry is said to be the most difficult of pastries to make. Lord knows I am not the pastry maker in this house…that job is always left to my husband who, I will be the first to say, might make the very best pastry in the entire world. Sweet or savory I have never tasted a better crust. Sift the flour and salt in a mixing bowl. Cut the lard into four pieces and place in the pan with the water. Place over a moderate heat and bring to a boil. As soon as the mixture is boiling you pour it into the middle of the flour. Beat well with a wooden spoon until the mixture clings together in a ball leaving the sides of your bowl clean. 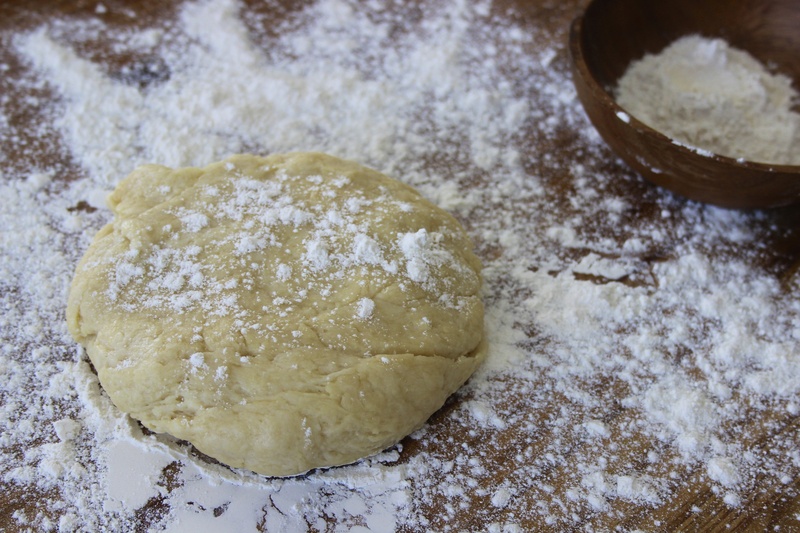 When it is cool enough to handle you can place it on your work surface, kneading lightly until it is smooth. The pastry was then set on the floured work surface and rolled out so that we could cut rounds. The pork was spooned into the centers of the rounds. 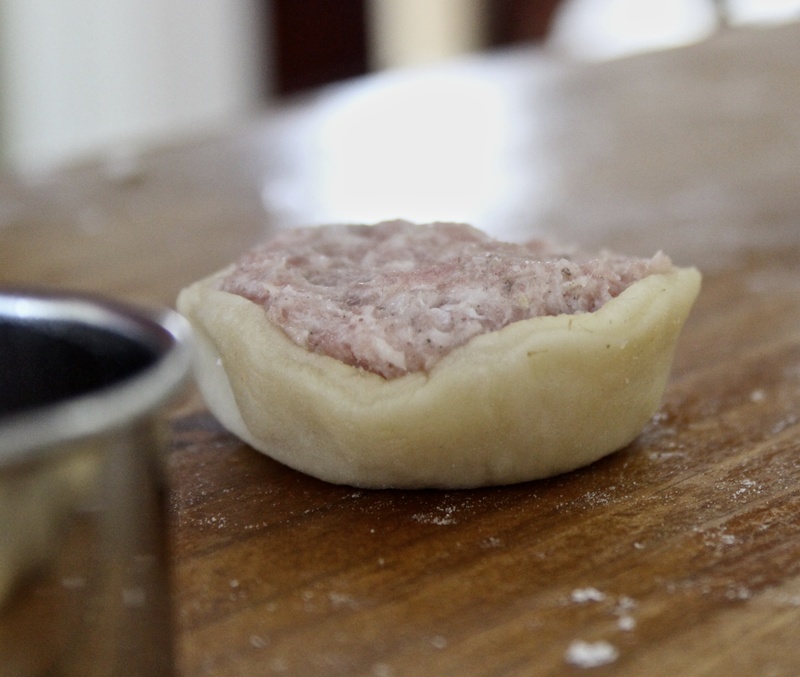 And then the little round of dough was hand formed into a shell for the pork pie. 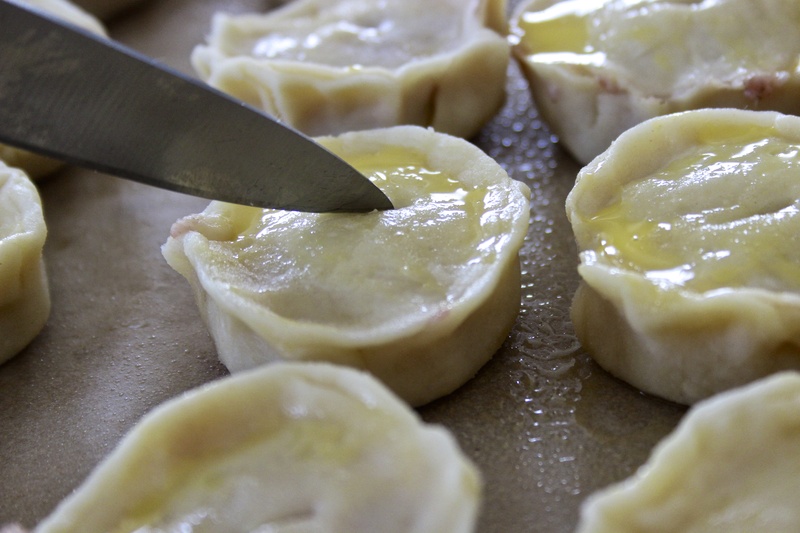 A smaller round of dough was placed on top, the edges were cinched and then the little pies were brushed with the egg wash before they were scored with a knife. 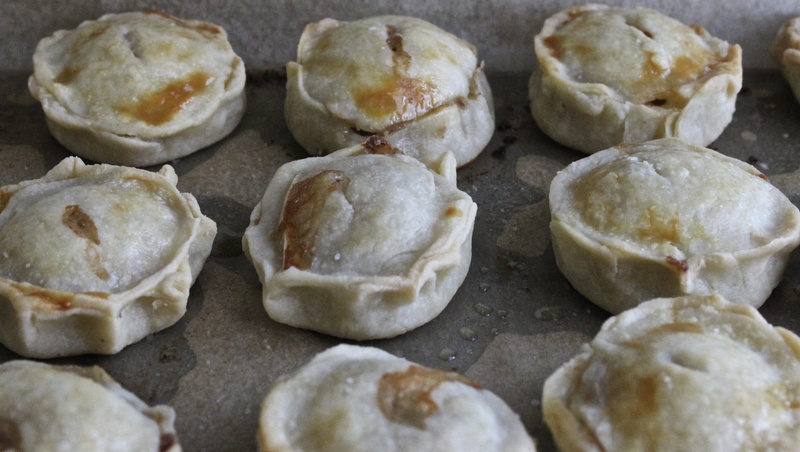 They were cooked on parchment paper and baked at 425 f. for 15 minutes at which time the heat was reduced to 350 f. and the pies were cooked for an additional 45 minutes until the tops began to brown. 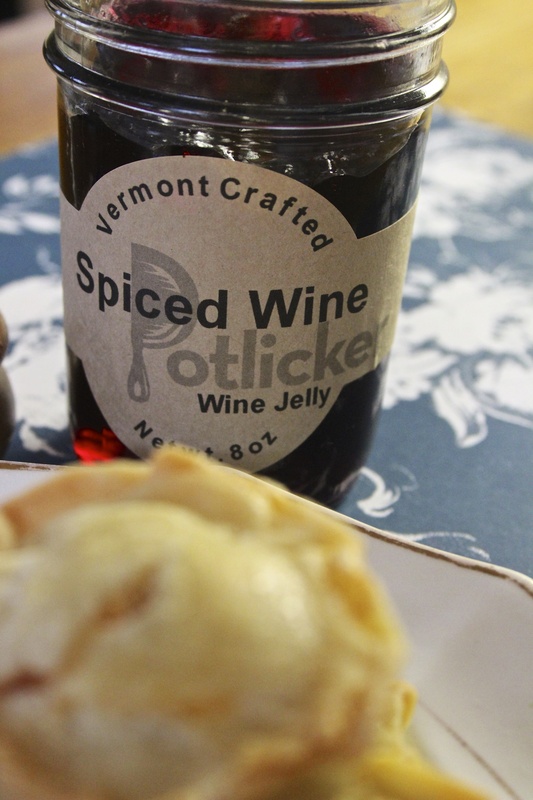 We are in love with these jellies we discovered from Potlicker Kitchen Vermont. 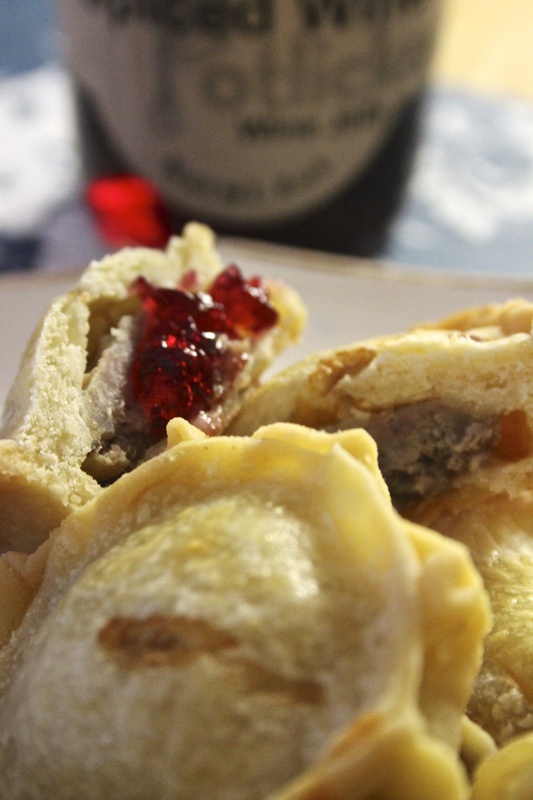 These pies would be good with any of their savory flavors, but we paired ours with the spiced wine variety which, on its own, has the overwhelming flavor of cinnamon or allspice. Paired with the spiciness of the pork the two really balanced each other out and ended up complimenting each other perfectly. While I didn’t include the jam in the lunches I packed for the kids, I certainly enjoyed it with my lunch. This little lunch is the perfect reminder that our upcoming trip to the UK is right around the corner. 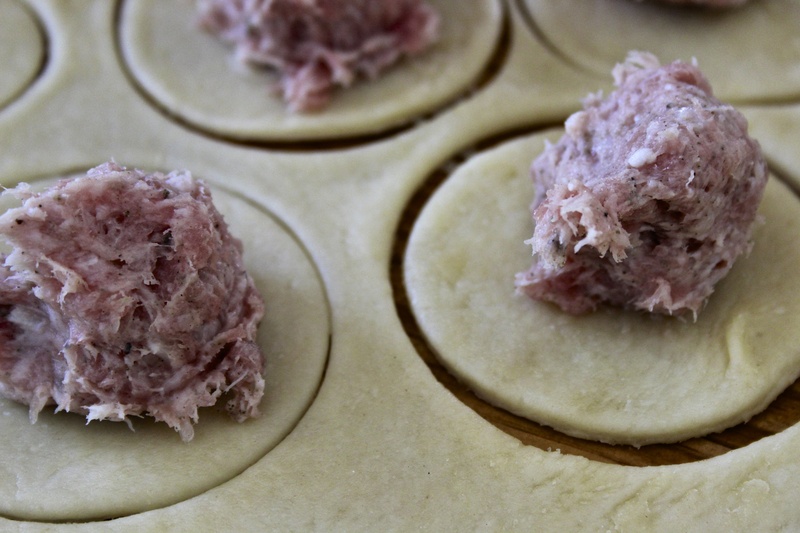 Here is hoping we get to eat a few more pork pies when we are there!